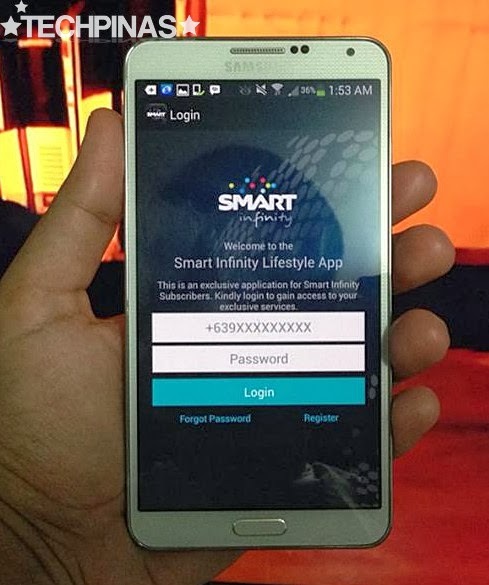 Last January 16, 2013, I graced Smart Infinity's invitation for the official launch of its new and exclusive mobile lifestyle application that's now available for free download on iOS and Android devices. The media event was held at the Makati Shangrila Hotel in Makati City. 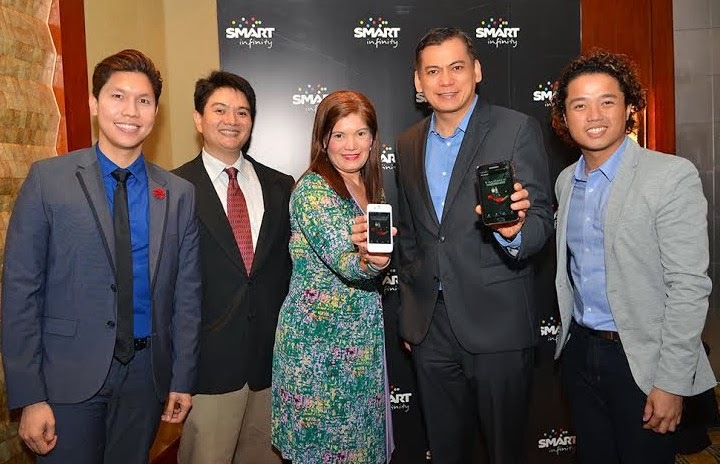 Executives of the telco leader today unveiled the Smart Infinity Lifestyle mobile application, a first-of-its-kind app designed to provide Smart Infinity subscribers a convenient, one-touch access to all the premium services available to them. Ms. Julie Carceller, Head of Infinity, and Mr. Charles Lim, Wireless Consumer Division Head of both Smart Communications and Sun Cellular, presenting the Smart Infinity Lifestyle mobile application. With them are (L-R) Mr. James Chi, Mr. Luis Rufino, and Mr. Julius Fonte of Infinity Product Marketing. "Smart Infinity has a proven track record of providing the most delightful mobile experience to subscribers through a host of carefully-designed, world-class services. Now, the Smart Infinity Lifestyle app takes those services, and places all of them in a single app for our subscriber' convenience," shared Ms. Julie Carceller, Department Head of the Smart's Infinity Business Group. Through the Smart Infinity Lifestyle app, a subscriber may place calls or send messages to his or her Infinity Management Officer for account-related concerns. Subscribers may also contact, through the app, the Smart Infinity Worldwide Concierge, to cater to their lifestyle needs both here and abroad. 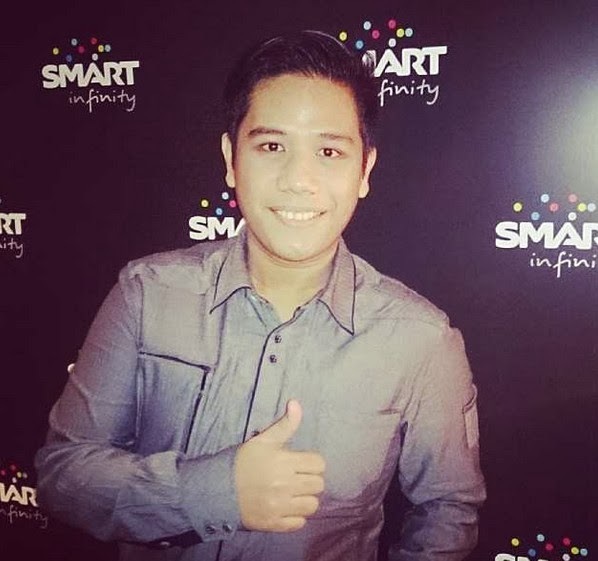 Following the exclusive application's media launch at the Makati Shangrila, Mr. JC Fonte - Product Manager of Smart Infinity - gave me and the whole TechPinas community an exclusive demo of the Lifestyle App -- and fortunately, I got it all on video. Check out the clip below for a quick rundown of the app's cool and useful features. Ready for free download for iOS users from the Apple App Store and for Android users from the Google Play Store, the Smart Infinity Lifestyle App is exclusively available to Smart Infinity subscribers and may only be activated with a Smart Infinity mobile number. Smart Infinity members enjoy VIP network access to prioritize their calls and data connection, coupled with the most advanced devices and lifestyle packages. Individuals interested in enjoying the premium Smart Infinity experience may contact 0918-888-INFO(4636).